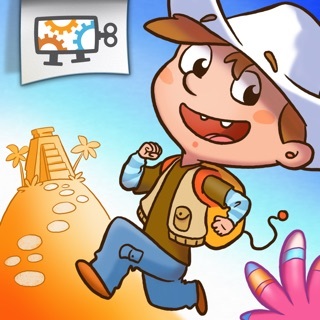 Get kids hooked on coding within minutes! 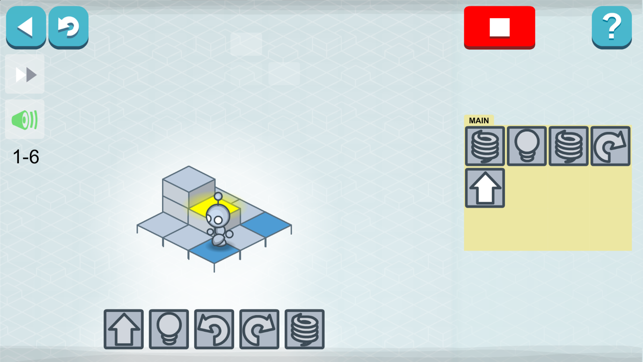 Lightbot is a programming puzzle game- a game whose game mechanics require using programming logic to solve levels. 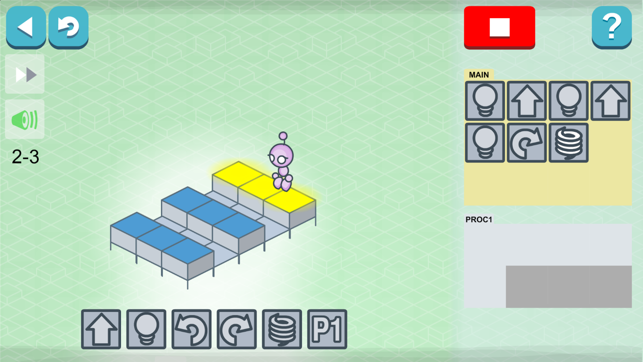 Simply guiding a robot to light up tiles and solve levels using commands, Lightbot cultivates a real understanding of procedures, loops, and conditionals. 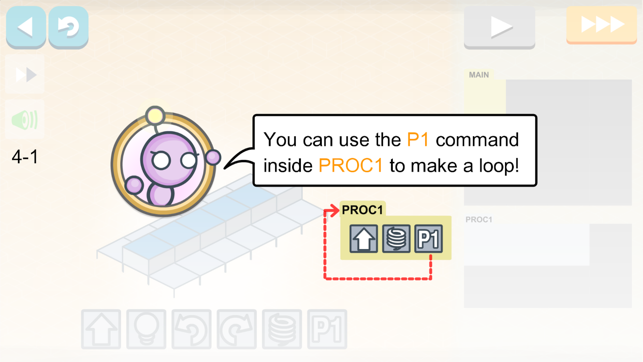 Educators around the world are choosing to use Lightbot first when introducing their students to programming, coding and Computer Science. Lightbot features 50 levels and 20 challenge stars to collect and is a must-have for puzzle enthusiasts. 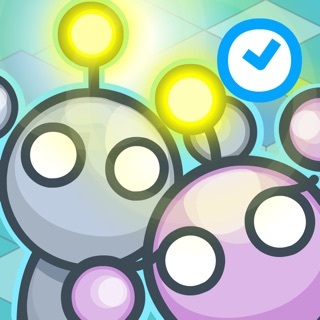 This version of Lightbot can be played in English, French, Russian, Brazilian Portuguese, Spanish, Traditional Chinese, Simplified Chinese, Norwegian, Slovenian, Romanian, Indonesian, German, Polish, Danish, Croatian, Dutch, Slovak, Czech, Greek, Italian, Japanese, Korean, Malay, Thai, Hindi, Swedish, Finnish and Hungarian! Just hit the associated flag icon on the main screen to select a language. 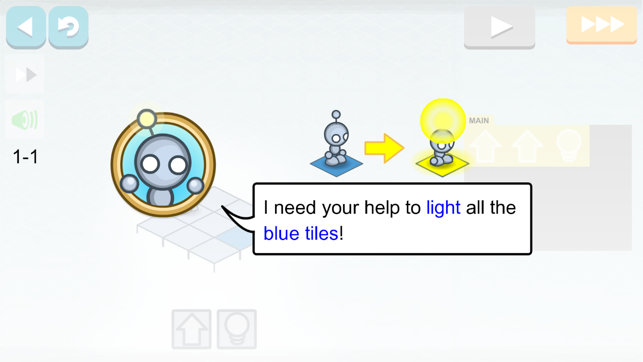 Lightbot features multiple save slots and separate progress tracking for multiple players. Multiple players can advance at their own pace in their own save slot, and also compete on number of levels finished, number of stars collected and number of overall commands used to complete the game. 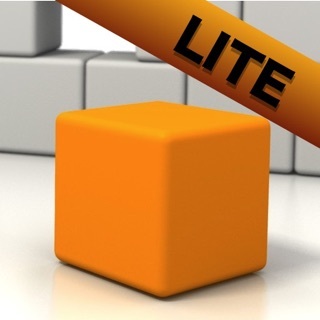 There are NO in-app purchases in Lightbot. 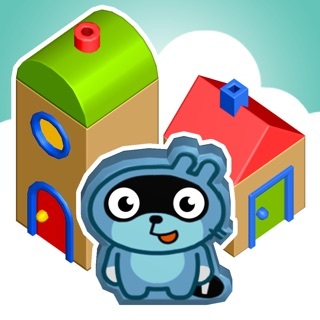 Fixed a few minor bugs, including a major crash bug on iPhone 4 in which the game wouldn't start on that device. 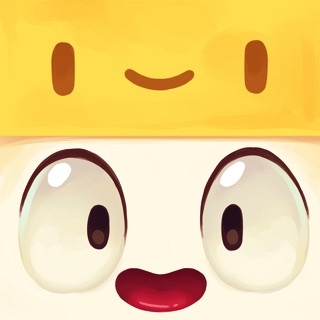 As always, thank you for supporting Lightbot! 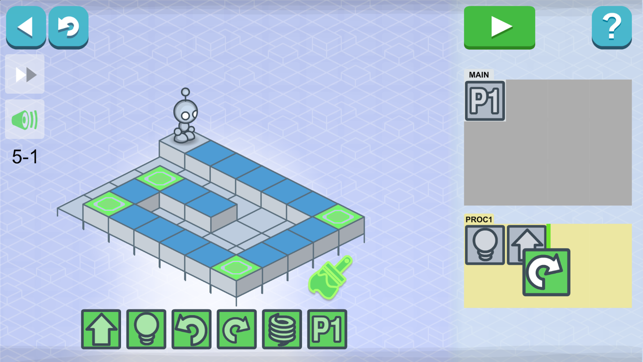 Learning Python, this game is helping me get around infinite loops and using them to my advantage. I just really, really wish I could listen to music while I play.